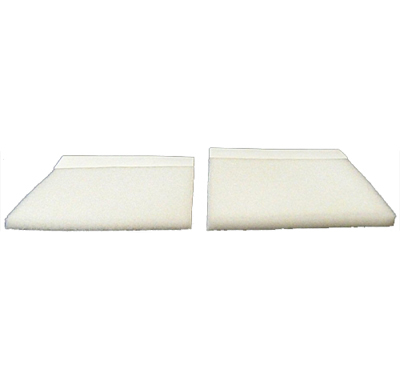 Our Foam Filters designed for laryngectomees measure 2 by 2 1/2 inches. They are available in two thicknesses, 1/8 or 3/16 inch. 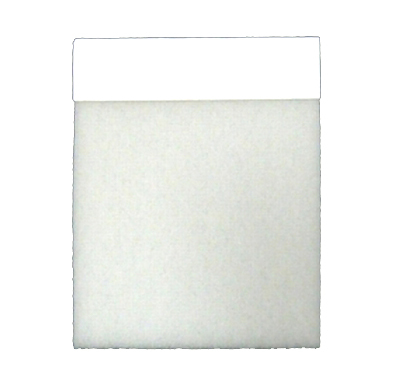 The filters are naturally colored (no dye additives) and come in a package of 90 filters. They have a single adhesive strip at the top for secure placement over the stoma. Our filters are chemical and dye free and made in the USA. Regular price: 90 Day Supply $49.00. Shipping is only $7.50 for Prority mail or $50.00 for UPS Second Day Air within the Continental US including Alaska and Hawaii.